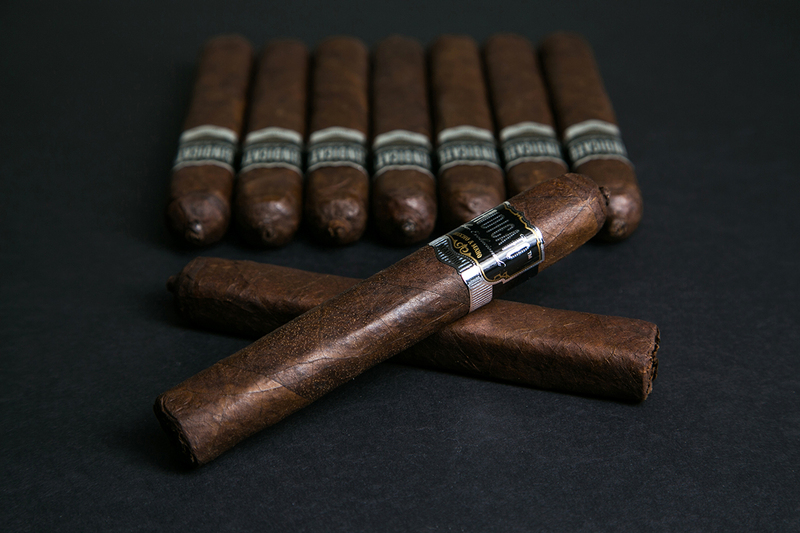 We are pleased to announce that we have shipped our newest cigar, the Sindicato Maduro. Please see the press release below, or download it in PDF or Word format along with images of the new cigar. 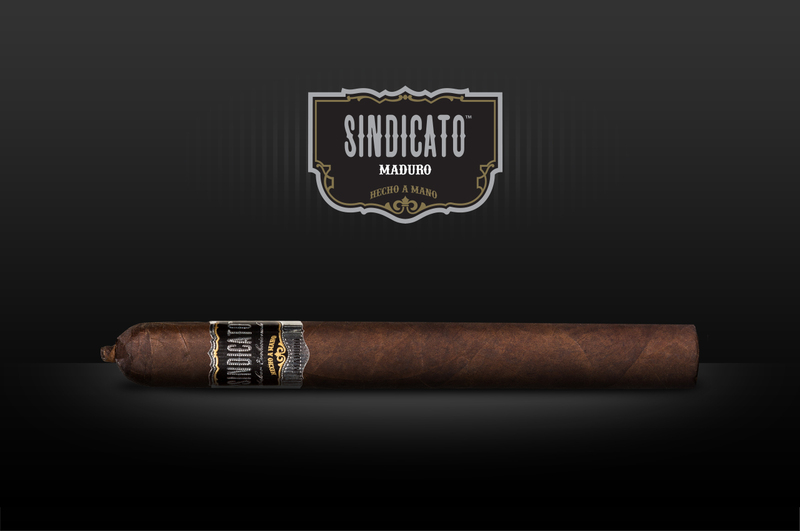 Sindicato Cigars has shipped its newest cigar, the Sindicato Maduro, which debuted at the 2014 IPCPR. The Sindicato Maduro will be arriving at hundreds of retailers across the United States within the week. a rich, bold Estelí double leaf binder, encompasses a blend of strong, flavorful Estelí and Jalapa leaves, which deliver a three quarter-full strength cigar with a unique taste. On November 28th, 2014, Sindicato and hundreds of participating retailers will kickoff the holiday shopping season with a Black Friday Sales Event. 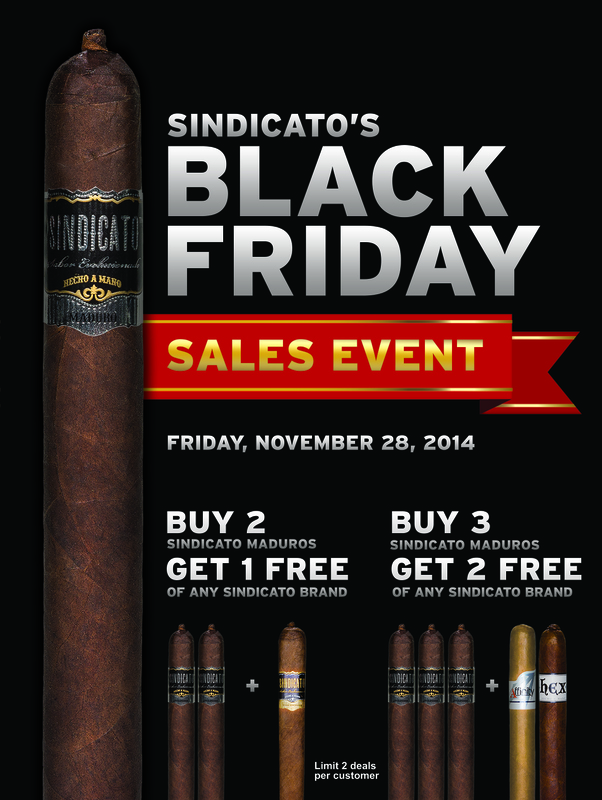 Buy 3 Sindicato Maduros and Get 2 of any Sindicato brand for FREE. *Limit 2 deals per customer. 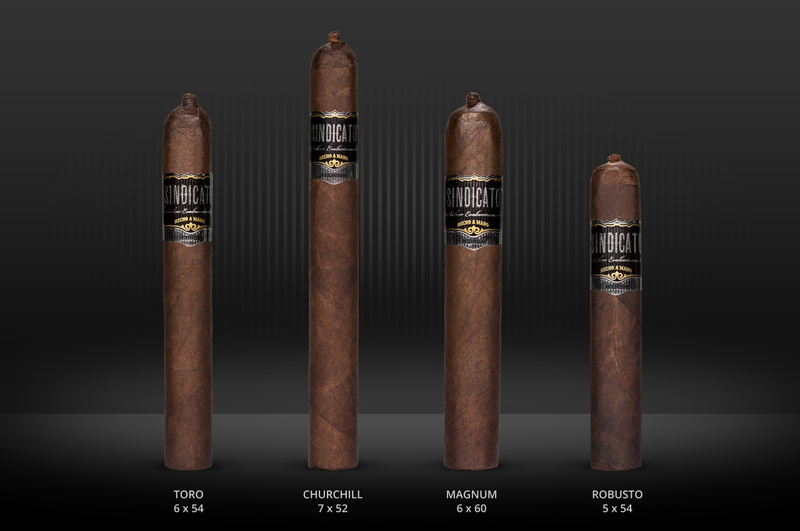 The cigar is being released in four vitolas ranging in price between $11-14. Factory: Tabacos Vallé de Jalapa, S.A.
Sindicato is a cigar company that creates unique brands and premium handmade blends catering to the evolving tastes of our consumers. The company is led by a group of experts who have multiple decades of experience and are among the top minds in the cigar industry. They have come together to put tobacco retailers and consumers first, and to create brands and blends they know people will love. The company produces premium brands such as Sindicato, Sindicato Maduro, Affinity, Hex, Casa Bella, and Casa Bella Maduro. Based in Boca Raton, FL, Sindicato sells through hundreds of tobacco retailers throughout the United States. The perfect pair. 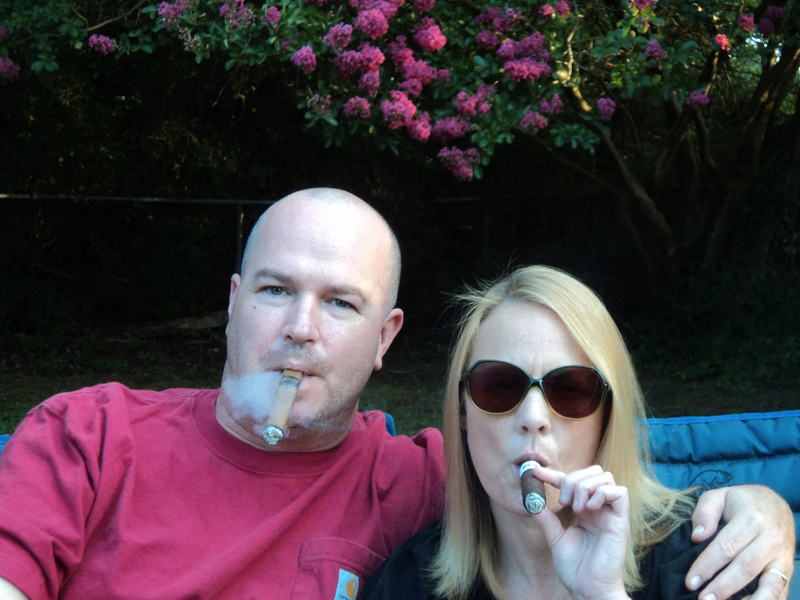 It doesn’t get any better than my beautiful wife smoking a Hex Figurado while I smoke a Sindicato Corona Gorda. 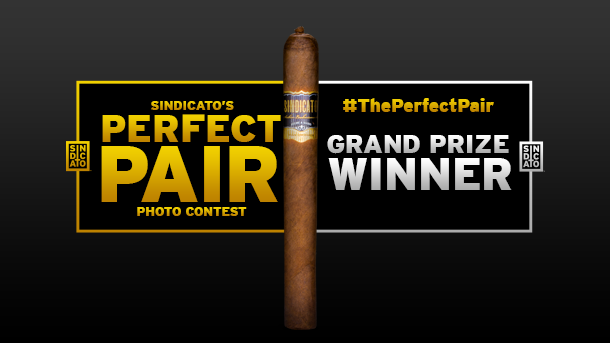 #theperfectpair@Sindicato Cigars — with Julie Featherstone Jones. 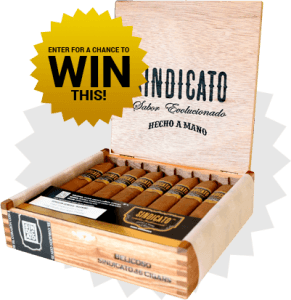 Sign up for our EMAILS and enter for a chance to WIN A BOX of Sindicato Cigars. Stay in the know about our promos, giveaways, news, events, and more. @SmokeSignal @casafernandez @jimcgar @SmokeInnCigars Thank you! Glad you're enjoying the Particulares!